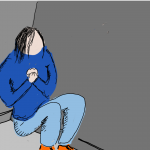 Illustrated digital stories for raising awareness on mental health issues. These short films explore a range of mental health issues and their impact on individuals. They include advice and questions for the church in how to respond. These films can be found on the Digital Stories page under Training Resource Development. Biblical monologues based on the encounters of Jesus from Mosaic Creative.